This international literary sensation turns the spotlight on one of the most influential and controversial figures in American culture. Filled with shocking observations about the lives, loves, and careers of the rich, famous, and fabulous, Warhol’s journal is endlessly fun and fascinating. 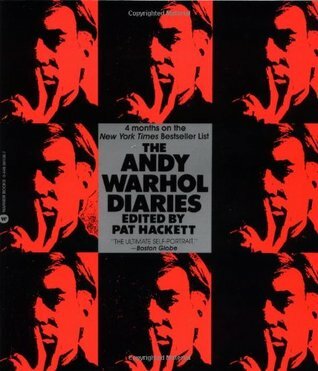 Spanning the mid-1970s until just a few days before his death in 1987, THE ANDY WARHOL DIARIES is a compendium of the more than twenty thousand pages of the artist’s diary that he dictated daily to Pat Hackett. In it, Warhol gives us the ultimate backstage pass to practically everything that went on in the world-both high and low. He hangs out with “everybody”: Jackie O (“thinks she’s so grand she doesn’t even owe it to the public to have another great marriage to somebody big”), Yoko Ono, and “Princess Marina of, I guess, Greece,” along with art-world rock stars Jean-Michel Basquiat, Francis Bacon, Salvador Dali, and Keith Haring. Warhol had something to say about everyone who crossed his path, whether it was Lou Reed or Liberace, Patti Smith or Diana Ross, Frank Sinatra or Michael Jackson. A true cultural artifact, THE ANDY WARHOL DIARIES amounts to a portrait of an artist-and an era-unlike any other.